Herbal oils are fast catching the attention of present day generation, as people have begun to settle for remedies that are not just effective, but harmless in the long run. 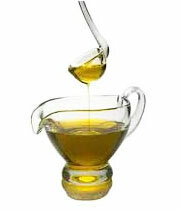 There are various types of herbal oils, depending on the kind of herbs used to prepare the oil. Patchouli oil: One such popular oil is the patchouli oil, extracted from the pogostemon cablin plant, a bushy herb belonging to mint family. This popular massage oil is widely used in Aromatherapy. The anti-fungal, antiviral, antibacterial and anti-septic properties present in the oil, helps ward off allergies or infections. In Aromatherapy, the oil is used in the form of inhalations and steam baths. Patchouli oil is good skin care oil, and helps prevent skin infections and other issues such as acne, dry skin, scars, dermatitis, and eczema. It has anti-aging properties that helps in maintaining youthfulness of the skin, and keeps it rejuvenated. Due to the wonderful lasting fragrance of the oil, it is commonly used in fragrances and perfumes, particularly in household as an aromatic agent and for protection against insects. Among the therapeutic properties of the oil are that it is a good astringent, diuretic, anti-depressant, aphrodisiac, febrifuge, rejuvenating, deodorant, fungicide and cicatrisant. Being a diuretic, it helps in normalizing the function of kidneys and bladder, while also stimulating detoxification and preventing water retention in the body. Being a natural product, it is used in dentistry for strengthening gums, and prevents gum bleeding and infections. The calming, relaxing and anti-depressant properties of patchouli oil makes it effective in reducing the negative effects of stress, nervous tension, preventing anxiety, apathy, stimulate creativity and drive away disappointments. Among the benefits of Patchouli oil are the powerful tonic actions, used in improving metabolism, stimulate digestion and appetite, and in regulating hormone and enzyme production in the body. The Patchouli oil, being a natural aphrodisiac, is also used to treat frigidity, erectile dysfunction and loss of libido. The fragrance of the oil makes it an ingredient in perfumeries, and is also used in incense sticks. Therefore, it is also used as deodorant to keep body odour at bay. Finally, it also increases body immunity, and prevents illnesses like fever, cold, headache, infections and abdominal problems. Therefore, Patchouli Oil can form a part of your health regime, provided, the oil used is of good quality, and is used on consultation with the physician.